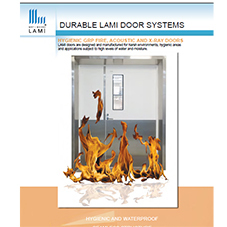 About LAMI Doors UK - Barbour Product Search. 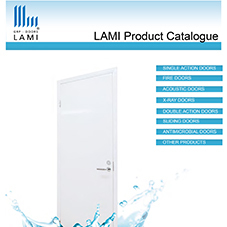 Established more than 50 years ago, LAMI Doors is one of the world’s leading manufacturers of high quality specialist LAMI GRP doors (glass fibre reinforced plastic). Innovative, monocoque LAMI GRP doors have been developed with decades of experience inherited from its origins as a boat builder in the mid 60’s. Today, more than 250,000 door sets have been supplied for the most demanding and harsh environments where no other door will suffice. 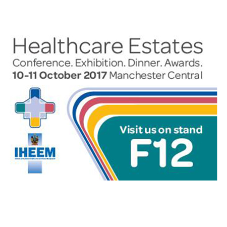 These environments include Hospitals, Care Homes, Laboratiories, Cleanrooms, Pharmaceutical Facilities, Universities, Schools, Veterinary Facilities, Supermarkets, Food Manufacture Facilities, Food Preparation Kitchens, Leisure Centres, Swimming Pools, Sports Stadia & many more. 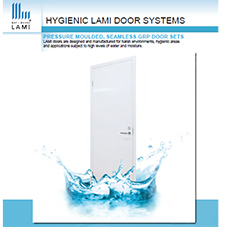 With customer satisfaction at the forefront of the company values, Lami Doors is able offer 100% non-organic doors with a 25 year guarantee against water and moisture penetration. 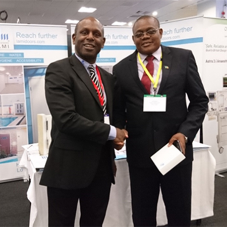 A variety of project sizes can be dealt with on a supply materials only basis or on supply and install sub-contract terms. 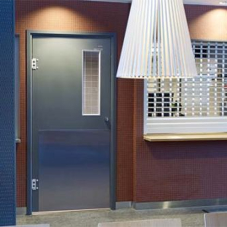 GRP Doors, sliding doors, single action doors, double action doors, fire doors, acoustic doors, X-ray doors, Hygienic Doors.